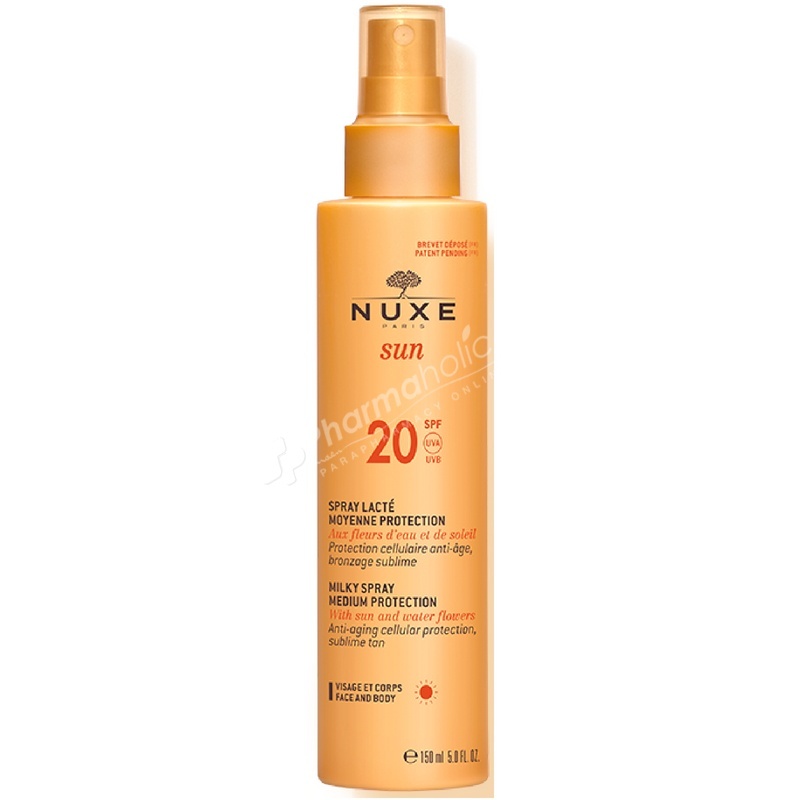 Nuxe Sun Milky Spray for Face and Body Medium Protection SPF 20 150ml is a glamorous solar care which protects the skin against UVA and UVB. Indeed, thanks to its formula enriched with extracts of sun and water flowers, this delicious lotion with its summery fragrance protects the cells against bad effects of UV rays, responsible for premature ageing and activates the appearance of a natural tan while moisturizing and soothing the skin. Apply product generously before sun exposure. Reapply frequently, particularly after swimming or towelling. If you don't apply enough of the product, the sun protection factor will be significantly lower.